The filmmakers behind the runaway hit Frozen travelled to Norway for inspiration. Now, the imagineers of Disney World have done the same. Frozen (2013) is a huge success for Disney. Not only is it the highest grossing animated feature of all time (it scooped in well over a billion dollars worldwide), it was also praised by critics and walked away with two Oscars. The film is inspired by Norwegian folklore, landscapes and culture. 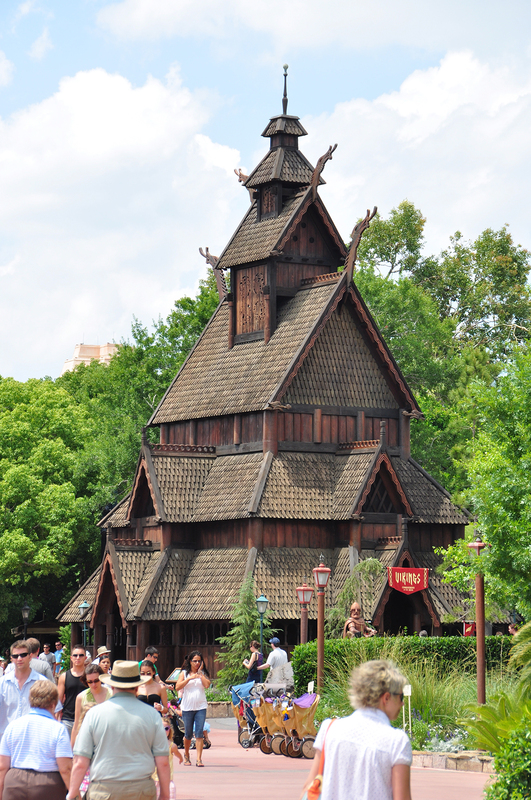 Now that the film gets its due attraction at Disney World in Florida, it will be at Epcot’s Norway Pavilion. This week, selected press were let in to see the new area taking shape. This summer, you’ll find the characters from the film here. “So when you want to come meet them, get your photo taken, get a hug, this will be the place to come,” said Melissa Valiquette the Vice President of EPCOT at Disney, according to wfla.com. The Norway Pavilion opened in 1988 and was owned or supported by Norway until 2002. The area is known for its scaled-down replica of the magnificent Gol Stave Church – the same kind of architecture that inspired the film. The 800 year-old original is found at the Norwegian Folk Museum at Bygdøy in Oslo. The Frozen attractions are an extension of the same area, which will resemble a traditional, Norwegian village. “Our imagineers have travelled to Norway and recreated many of the buildings and facilities and facades modelled after famous buildings and just some summer cabins that they found in Norway,” said Valiquette. Just as the filmmakers travelled to Norway to be inspired in the first place. “We saw a lot of the sites that the filmmakers went to,” said Michel den Dulk, executive creative director for Disney Imagineering, reports wesh.com. One highlight in the area is the Royal Sommerhus, where you can meet Anna and Elsa from the movie. (“That last u is a long u sound, rhyming with ’goose’”, explains Orlando Sentinel’s journalist). The main attraction, though, is a family friendly boat trip through the frozen landscapes of the film called Frozen Ever After. It replaces the popular ride Maelstrom, which has stood there since 1988. Remnants of the old ride survives, including two rune stones standing near the entrance. Starting this summer, then, you’ll get a Frozen-themed piece of Norway at Epcot. But to see the real deal, you must go to Oslo and Bergen, and the Norwegian fjords and mountains.